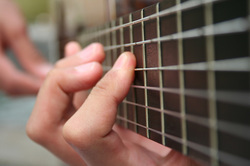 Each eight week small group guitar course is just $128 for eight consecutive one hour classes. The Original Beginning Guitar Course includes all lesson materials. NEED A GUITAR? Ask us about our student discounted guitars and rentals. Our group lessons are professional quality, with dozens of customized tips, suggestions, and exercises to enable you to sound good and to play confidently! 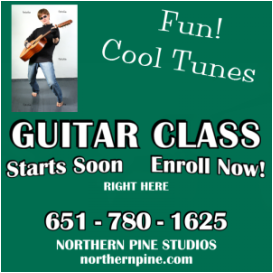 There is plenty of good, strummin' fun at Northern Pine ! 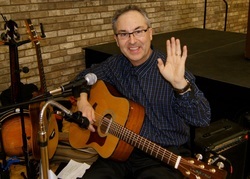 Rick Taube will accept PayPal payment for either Group Guitar lessons or Individual Private music lessons with him. PLEASE NOTE: a very small extra fee is added to help offset any PP fees...Thank You! You will recieve a payment confirmation from us within a day.